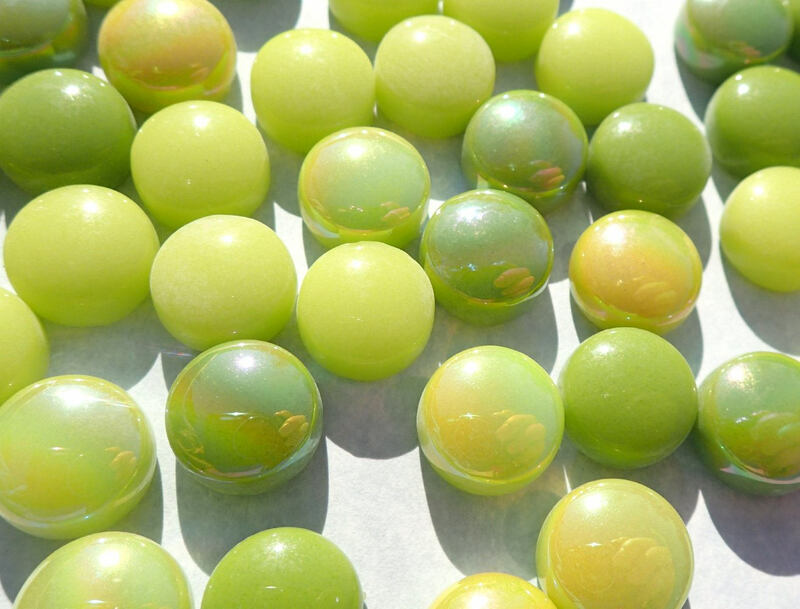 These glass drops are in a mix of greens that you would see in Springtime! 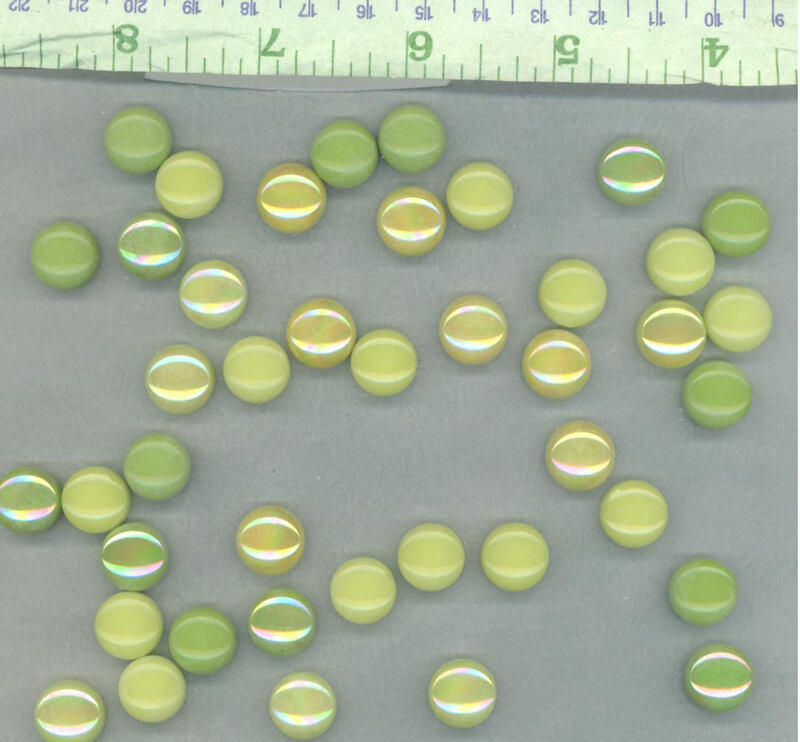 There are light green, darker medium green, and some greenish-yellow, some of them have an iridescent finish, others do not. 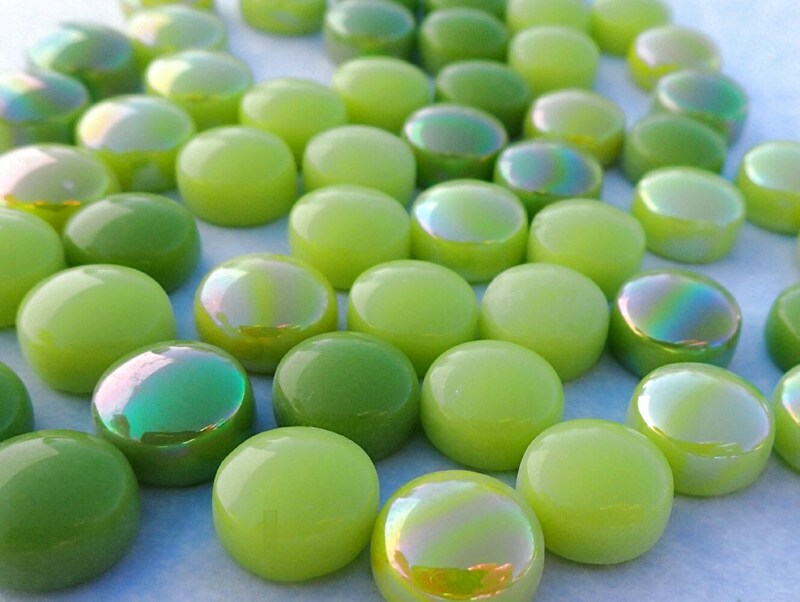 They are 12mm (1/2") in diameter and are 8mm (1/3") thick. 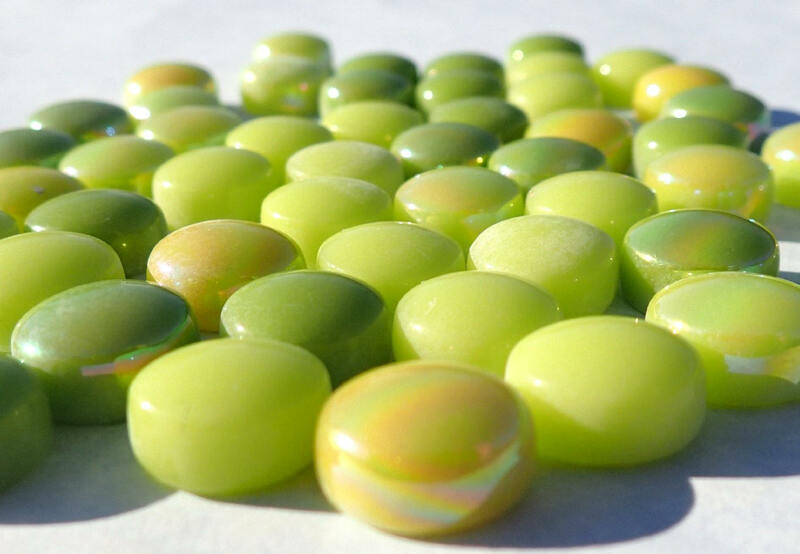 Unlike traditional glass gems, these are uniform circles with a domed top and straight sides. 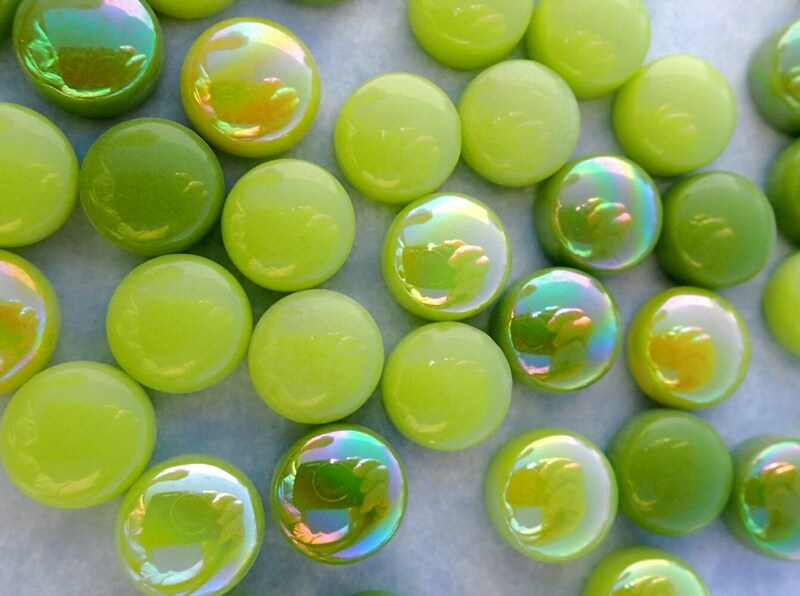 These make colorful embellishments to your mosaic or other crafting projects. 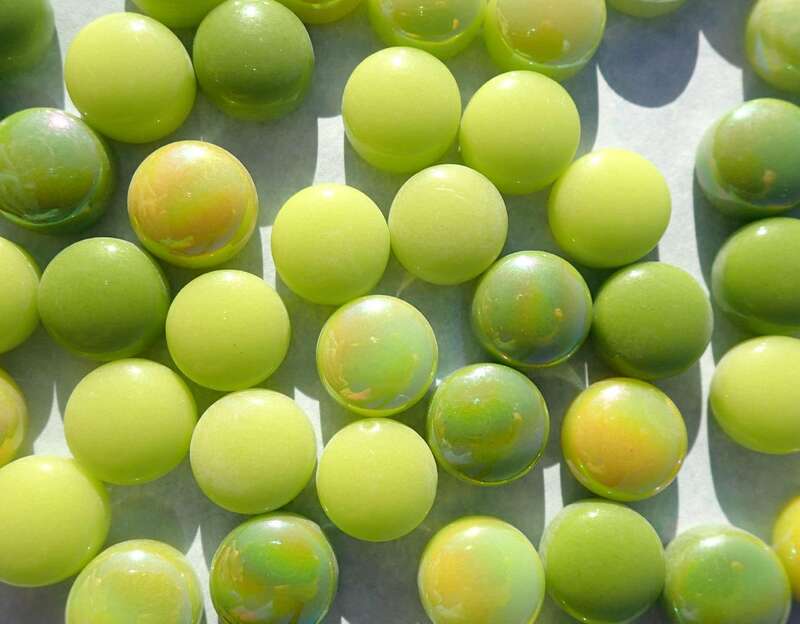 Use the iridescent alone, or mix them with the glossy to add interest to your project! Very happy with these tiles!!!!! These were just what I needed and Perfect!